Cricket Victoria today celebrates International Women’s Day as we aim to be the leading sport for women and girls. Today’s celebration coincides with the release earlier this week of Australian cricket’s ‘Press for Progress’ report – an annual Australian cricket review on progress being made towards gender equality and inclusivity goals across the sport. Victoria saw a 31% increase in overall female cricket participation during the 2017-18 season to more than 115,000 women and girls involved in a range of cricket formats during last season. This season has seen more than 320 club-based junior girls cricket teams competing across 26 cricket associations as numbers continue to grow across the state. Cricket Victoria CEO Andrew Ingleton said International Women’s Day was a time to celebrate and promote the inclusive nature of cricket. “International Women’s Day is an important opportunity to recognise and celebrate the achievements of women right across our community. Cricket is a sport that is determined to be a sport for all. We have made some great progress in the inclusion and diversity areas of our game in recent years but there is still work to be done to deliver on our commitments,” Ingleton said. “Among the many achievements, I think it’s hard to go past having five Victorian women involved in Australia’s victory in the ICC T20 World Cup in the Caribbean. 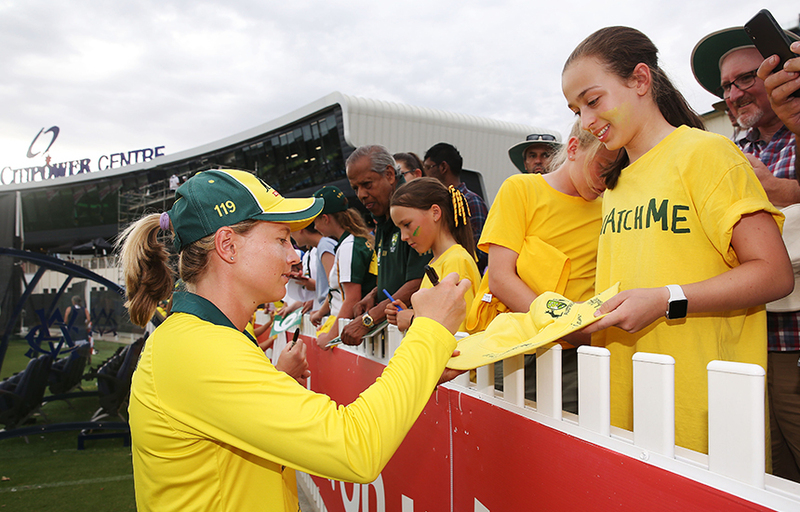 What better role models to have for current, new and future cricketers than the likes of our Australian captain Meg Lanning, Elyse Villani, Sophie Molineux, Georgia Wareham and Tayla Vlaeminck,” Ingleton said. International Women’s Day (March 8) is a global day celebrating the social, economic, cultural and political achievements of women. The day also marks a call to action for accelerating gender parity. International Women’s Day (IWD) has occurred for well over a century, with the first​ ​March 8​ ​IWD gathering supported by over a million people in Austria, Denmark, Germany and Switzerland.